MACOMB, IL -- University Housing and Dining Services is conducting a satisfaction survey about the campus dining experience. The survey, for students, faculty and staff, or anyone who eats in a Western Illinois University dining center, C-Store or the University Union Food Court, can be found at tinyurl.com/yb34q25s. 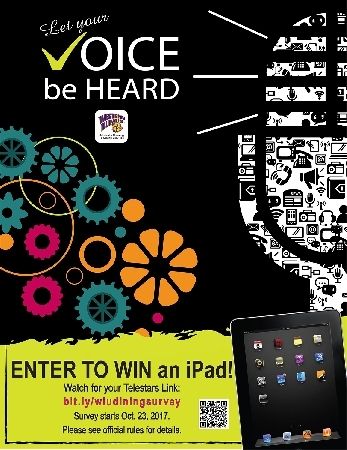 Those who enter the six- to seven-minute survey will be entered in a drawing to win an iPad after the survey is closed. The satisfaction survey opened Monday, Oct. 23 and runs through Nov. 11.